Everyone needs an iron at home to look polished, whether it’s for a work interview or the kid’s first day of school. This small appliance is a laundry must. But how much are you willing to spend on getting your clothes perfectly crisp? Would you pay as much as $699? Well, Philips believes you might, with its latest PerfectCare Elite Plus steam generator iron one of the most expensive you’ll find. It packs in a number of new and improved, intuitive features, but is it worth the big bucks? Read on and decide. What is the Philips PerfectCare Elite Plus? 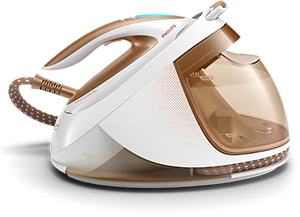 The PerfectCare Elite Plus is Philips’ most powerful and fastest steam iron. It features automatic steam, so you can forget about adjusting temperature settings as this iron does it automatically for you. Steam generators are marketed towards those who have to tackle large piles of ironing, and this model aims to offer more powerful steam force compared to regular clothes irons. Steam irons are designed with an in-built water tank that gets filled with cold water. You select the temperature for the specific material you’re ironing and the water heats up to produce variable steam, which is where you control the amount of steam created. The variable steam relaxes the fibres while the heat of the soleplate dries it. A steam generator station, on the other hand, typically has a larger water tank that’s separated from the iron itself. The water is sent to a high-pressure boiler where heating elements heat the water and turn it into high pressure steam, usually measured in bars. This pressurised steam goes into the heart of the fibres for a faster result. In fast heat-up steam stations, you can also re-fill the water tank at any time. For maintenance, there’s no cartridge to replace, you simply empty the scale collector in the base unit. What makes the Philips PerfectCare Elite Plus different? Philips offers a number of steam generator irons within its range and the difference with this model is the addition of Philips’ Optimal Temperature technology. This means there’s no temperature dial or setting to change, allowing you to iron different fabrics from jeans to silk without waiting for the iron to cool down or heat up. This might help reduce the time it would take to sort out laundry before you iron. It also has a Woolmark Gold seal of approval, allowing you to iron woollen items. 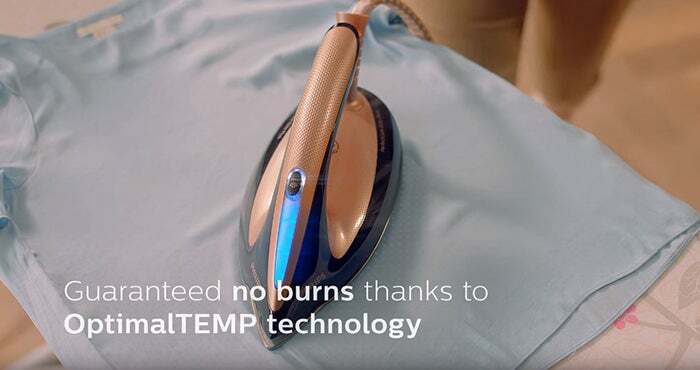 Philips’ Optimal Temperature technology is boasted for guaranteeing no burns to any ironable fabric. It stops working when you do, so you can even leave it resting face down on your clothes or ironing board without any burns or shine remaining, according to the brand. In addition, it features Philips’ DynamiQ smart sensor. This involves the iron knowing exactly when and how the iron is moving to produce steam automatically and stop when there’s no movement. The iron is claimed to glide easily over fabrics with the T-ionicGlide soleplate. It’s said to be Philips’ best soleplate with maximum scratch resistance. Plus, its stainless steel base is stated to be twice as hard as a regular aluminium base and feature a patented six-layer coating with the addition of a titanium layer for smooth gliding. How long can you iron for with PerfectCare Elite Plus? The Philips PerfectCare Elite Plus is stated to takes two minutes to heat up and provide up to two hours of continuous ironing with its 1.8L transparent water tank. 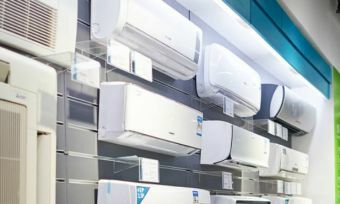 With regular irons, you typically need to wait for the unit to cool down before you can add more water, however, this is not the case with this model. An indicator light will switch on to remind you when to refill the water tank and you can simply place the removable tank under the tap to refill. For extra peace of mind, an auto-shut off function automatically switches off the unit if you leave it unattended for a few minutes. Steam stations offer high pressure steaming, usually measured in bars. The higher the pressure, the higher the bar number. The Philips PerfectCare Elite Plus offers a maximum of 7.5 bars of pressure. So, when the steam travels through the 1.9m hose, it enters the soleplate and releases it under 7.5 bars of pressure, allowing you to iron heavier and denser clothing items. It releases up to 150g/min of continuous steam, or if you’re after a boost, it can release up to 500g/min of steam for any stubborn creases. The steam boost is ideal for vertical steaming of clothes and curtains. It also has an ECO mode to reduce energy consumption for clothes that may require less steam. The iron, including the base, weighs in at a hefty 5.1kg. But the iron itself is fairly lightweight, coming in at just 0.8kg. Once you plant the station on your ironing board you won’t really need to worry about the extra weight. It also features a carry lock for safety, so you can lock your iron to the base and carry the station back to storage once you’re done. Steam irons in general are not loud appliances, but Philips boasts additional silencing filters to reduce steam noise and vibration noise of the base, giving you the ability to enjoy your favourite Netflix show without disturbing anyone in the room while you iron. In terms of maintenance, this unit has an ‘Easy De-Calc Plus’ system, which is a compartment that’s stated to collect limescale continuously. It has an indicator light and audio signal to inform you when it needs to be emptied. You simply remove the plug and empty the water and scale particles. By descaling the iron regularly, it helps to extend its lifespan, according to Philips. How much does the Philips PerfectCare Elite Plus cost? The Philips PerfectCare Elite Plus iron costs $699. It’s covered by a two-year replacement warranty, giving you confidence in this model. Regular irons typically cost between $100 and $200, but as far as steam irons go, this is a fairly standard price, with most costing around the $600 to $700 mark. Other Phillips irons cost as little as $230. Should I buy the Philips PerfectCare Elite Plus? If you’re looking for a steam generator iron, then this might be one to consider. Unlike other models, it automatically adjusts the amount of steam produced to suit the type of material you’re ironing, allowing you to tackle possibly your entire wardrobe in one go. 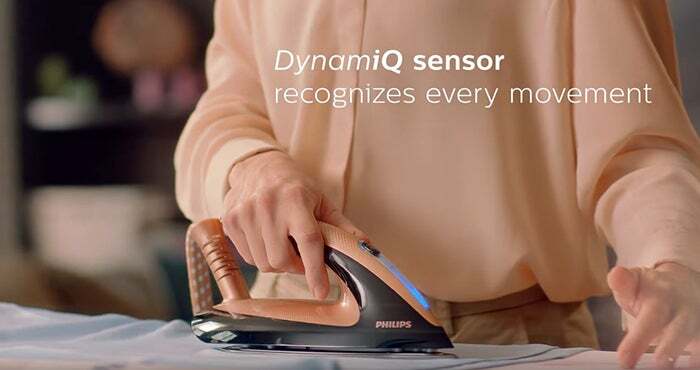 Philips also boasts a no burn guarantee to help put your mind at ease when you’re ironing your favourite shirt. However, with this comes a hefty price. It’s important to do your research before jumping into any purchase, especially when you’re considering a $699 price tag. 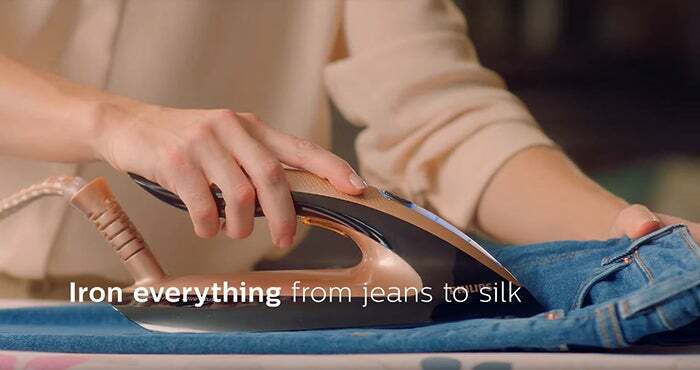 If you’re in the market for a top of the line clothes iron, Philips certainly gives you a lot to think about. But if you’re just looking for a basic iron to ‘get the job done’ you will probably find what you’re looking for at less than half the price.